To cut the carbs and sugar, only use half of the apple. It's a rather large serving! 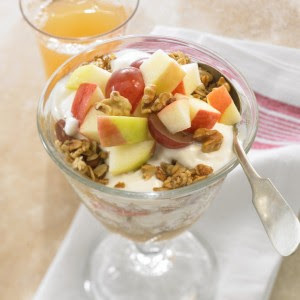 I also enjoy the apple and yogurt-mix without the "granola". *Optional - top with nuts, dried fruit, grapes or shredded, unsweetened coconut.